Villa del Arco Beach Resort & Spa Cabo San Lucas is an elegant boutique hotel located just minutes from downtown Cabo San Lucas and the Cabo Marina. Perched on the soft sands of Medano Beach, this five-star resort provides guests with easy access to the high-energy lifestyle of Cabo San Lucas, Mexico, while at the same time maintaining the privacy and calming ambiance of an exclusive resort. Its idyllic location, overlooking Land’s End and the iconic El Arco rock formation in the distance, make it one of the best resorts in Cabo San Lucas and the perfect venue for family vacations, luxury weddings, group meetings, and romantic escapes. When looking for the ultimate vacation destination, look no further than Cabo San Lucas, Mexico, where world-class luxuries abound and an intense natural beauty takes over. Located at the tip of the Baja California Peninsula, this energetic city has been a favorite on the Mexico scene for quite some time. Catering to all types of travelers, Cabo San Lucas captures your heart with its vibrant culture, entertaining nightlife, and stunning natural beauty. 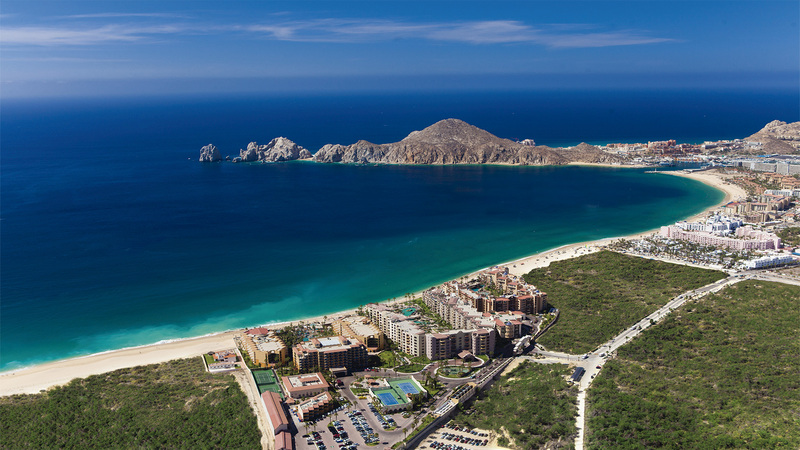 Those venturing to where the Sea of Cortez meets the soft sands of Los Cabos will find the diverse mountain, desert and ocean landscapes that create the perfect playground for all types of Cabo activities. When you choose Villa del Arco Beach Resort & Spa for your upcoming Mexico vacations, you’ll find the ideal Cabo San Lucas all inclusive resort for enjoying the best of what Los Cabos has to offer. Known as the safest swimming beach in Cabo San Lucas, Medano Beach is a haven for those looking for a seaside playground. Visitors can enjoy a myriad of Cabo San Lucas activities, including paddle boarding, kayaking, snorkeling, and more!